Dayton Dutch Lions FC 2018 Great Lakes Conference Champions! 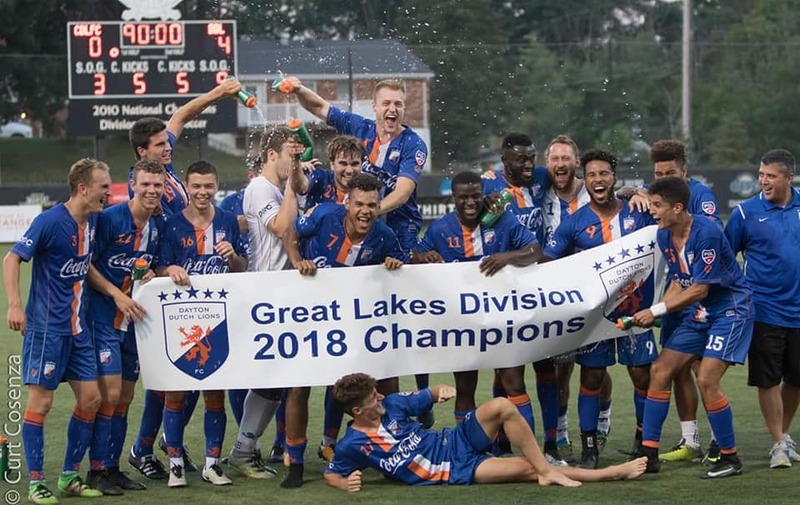 Dayton, July 14 2018 - Last night Dayton Dutch Lions FC clinched the 2018 Great Lakes Conference Championship after a 4-0 win vs Cincinnati Dutch Lions FC! JJ Williams became the Man of the Match, scoring three goals. Congrats to the club, ownership group, GM Ric Campbell, coaching staff Dan Griest, Kevin Terrell and Catherine Gordon, sponsors, partners, fans and all academy parents and children on a fantastic season sofar!